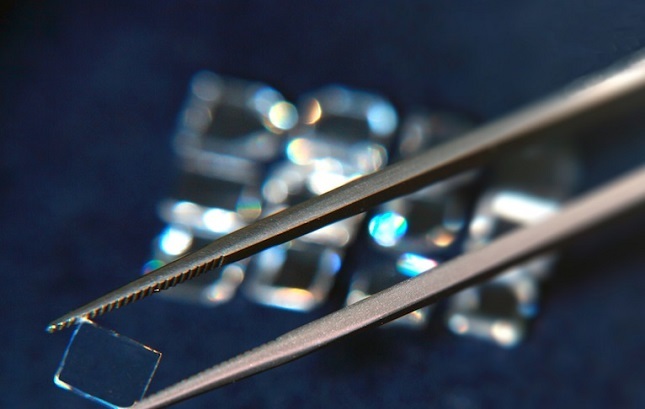 "The category of lab grown diamonds is revolutionizing the diamond industry. As the name implies, these diamonds are grown in a lab and are chemically, physically and optically identical to mined diamonds. The stones are, by nature, conflict-free and grown above ground, with clean technology, that works to lessen environmental impact. They also offer value to the consumer, beyond price. For the same price, a lab grown diamond can be larger or better quality than a mined diamond. "Lab-grown diamonds follow the same grading standards as mined diamonds and are evaluated based on cut, color, carat and clarity. Richline’s core position is that consumers now have a fifth “c” to consider when purchasing a diamond – Choice." "The Award Winning Grown With Love Campaign represents a new choice, where there was none before … a choice to never compromise your values," the firm said in a statement. "It is an educational campaign designed to inform consumers of this emerging category, empower them to learn more about their options, and make the choice for themselves. The supportive collateral is designed to disrupt a classic category to draw interest, and includes educational brochures & displays, sustainably sourced packaging, and an unfiltered street captured Diamond Challenge video that explores the power of education." Grown With Love features a curated collection of both bridal and fashion styling. “We believe that Lab Grown Diamonds are appropriate for every important occasion, and can celebrate both bridal and non-bridal events, even self-purchase,” said Woodruff." All diamonds in the Grown With Love collection are certified by the International Gemological Institute, which uses a scientific system to evaluate a diamond’s cut and then issues a certificate documenting the characteristics of the stone. The fine jewelry professionals at Richline’s partner retailers including JCPenney and Macy’s will receive dedicated training on the integrity, grading and analysis of these precious lab grown stones. Consumers will find Grown With Love educational collateral both in store and online to help them become informed of their new choice." Richline Group Acquires Nordt Inc.